Grand Cayman, Cayman Islands (18 May 2018) – Cayman Enterprise City (CEC) is marking the success of the Tech City Cayman Islands special economic zone’s second major event in 2018 to bring cryptocurrency and blockchain leaders, who are guiding a surging industry, to the Cayman Islands to showcase the jurisdiction’s benefits and attractions. This month Cayman Tech City, a development project by CEC and an industry partner member of the “World Tokenomic Forum”, welcomed more than 100 world leaders in cryptocurrency, government, capital markets, and technology to the World Tokenomic Forum’s Annual Summit. The event took place at the Grand Cayman Marriott Beach Resort 8-10 May 2018 and concluded with the finals of the Sandcastle Startups Challenge. The World Tokenomic Forum’s Annual Summit marked CEC’s second international blockchain conference of the year. The event followed the 15th global edition of “d10e” which took place 27-30 January 2018 at The Ritz-Carlton, Grand Cayman. The d10e conference series and leading conference on decentralization, brought over 150 cryptocurrency experts, executives and blockchain investors from around the world to explore the future of fintech, ICOs, blockchain, the sharing economy, the future of work, and disruptive culture. “The energy being created by cryptocurrency and blockchain technology around the world made for exciting panel discussions, working sessions, and invaluable networking opportunities,” said CEC’s CEO Charlie Kirkconnell. The World Tokenomic Forum’s finals of the Sandcastle Startups Challenge came to an exhilarating conclusion with the announcement of Intiva Health as the winner. The competition started in January 2018 with 137 blockchain companies and after multiple rounds, the final 16 blockchain based startups made it to the forum in Grand Cayman. Invita Health, a career platform for medial professionals, will receive USD $250,000 worth of development services, advisory work, exchange listings, membership services, and an all inclusive package from Cayman Tech City for its grand prize-winning pitch. 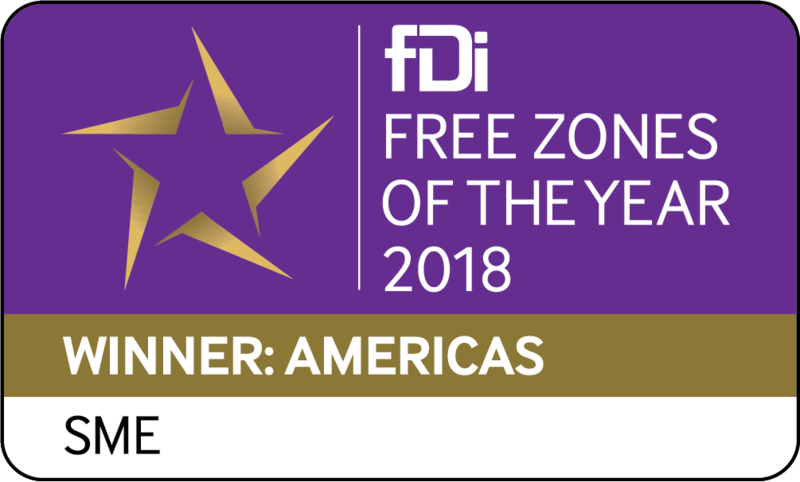 In cooperation with the Cayman Islands Government, Cayman Enterprise City is driving the industry and encouraging direct foreign investment, creating new job opportunities for Caymanians and diversifying the economy which is currently primarily driven by tourism and the financial industry. Cayman Tech City is seeing a marked increase in cryptocurrency and blockchain companies setting up in Cayman, with close to 25% percent of the total CEC tenants comprising of companies developing or using blockchain technology. In 2018 alone, some 50 blockchain businesses have established or are in the process of setting up within Cayman Tech City. “As a Government we are committed to working with the private sector in creating a diverse economy based on efficiency, transparency, and technology. The Cayman Islands are not just a wonderful place to live, but it is also a well-regulated financial center that is welcoming of emerging markets such as Blockchain technology,” said Hon. Minister Joseph Hew, Minister of Commerce, Planning and Infrastructure. 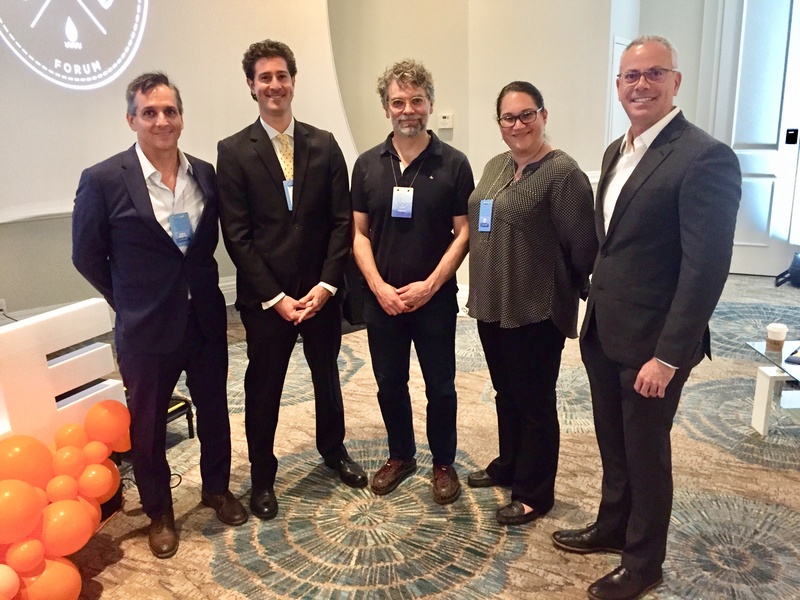 - “Why Cayman for Tech Business?” Panelists, Charlie Kirkconnell, CEC; Richard Spencer, Campbells; Eiland Glover, Kowala; Cindy O’Hara, CEC; and Jude Scott, Cayman Finance. - Hon. Tara Rivers Minister of Financial Services and Home Affairs presented to members of the World Tokenomic Forum.